Professional hockey is returning to Seattle. The NHL’s Board of Governors unanimously approved Seattle as the league’s 32nd franchise Tuesday. Construction work on the new Seattle Center Arena at Seattle Center, where the club will play, kicks off Wednesday. Earlier this year, fans purchased 10,000 season tickets just 12 minutes after they went on sale. About 32,000 fans have made deposits on season tickets. The team's name, logo and colors have not been decided. The $700 million renovation of the arena at Seattle Center is being led by OVG-Seattle, the local office of developer Oak View Group. 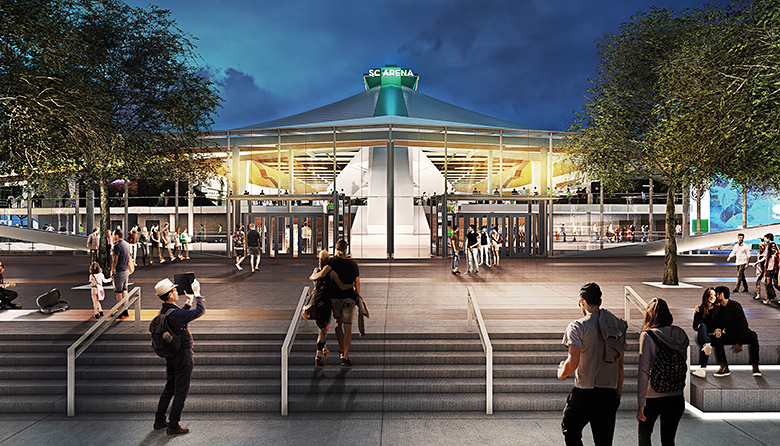 Once completed, the privately-financed arena will also be home to the WNBA’s Seattle Storm and will also provide a home for the NBA if a team returns to Seattle. OVG will cover all costs and potential cost-overruns. The arena, which opened in 1962 for the Century 21 World's Fair, has been known as KeyArena since 1995, when Cleveland-based KeyCorp paid $15 million for naming rights, even though the deal expired in 2011. The arena was last renovated in the mid-1990s. Seating capacity in the new arena will be 17,400 for hockey and 18,600 for an NBA club. In October, Simon Property Group announced it would add the team's corporate headquarters and training center to its renovation of Northgate Mall. The training center will be built within the center of the property and will include three full-sized skating rinks, including one for open skating. There are currently no ice rinks within Seattle city limits. The NHL most recently added a team when the Vegas Golden Knights became the 31st franchise for the 2017-2018 season. Seattle last had a professional hockey team in 1975, when the minor league Seattle Totems folded. Between 1915 and 1924, the Seattle Metropolitans played in the professional Pacific Coast Hockey Association, winning the Stanley Cup in 1917 by defeating the NHL’s New York Rangers.